Of course Eric has the best flat earth videos, but for simplicity this soft spoken very intelligent gentleman has made a video that will persuade the most die-hard globe-heads out there, that the earth is indeed flat. so i have run in to a problem i cant let go since i know im right. I have given a good, logical and even nessesery advice to our dear admin. But he dont seem to see my point, so im gonna try it here and meby someone can help me put it in better words. So here it is. 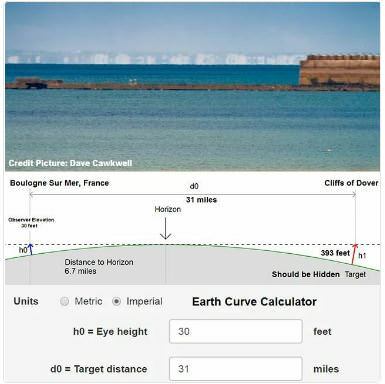 the same thing keep happening, and it goes sumthing like this, they come in, roll there eyes at the text flat earth, meby make a quick scroll down, say they do it later, and then forget about it. And after seeing this kind of behavior, im confident to say that this group of ppl are the same as those who se random tips like grafiti or wrighting on money. so my strong opinion on this is we need something to quickly catch the attention of those ppl. And i sure dont have the best fix for it, but a starting point to improve on. like i said you dont seem to get my point. and makeing it stand out or "clickbait" at the entry of ifers, so that someone who come here out of curiosity dont roll their eyes and leav. My wish wuld be a big red button that say click me and press a picture of crespecular rays and stars thru the moon, and then a quick explaination on expirements you can do, like zoom on boats and sunsets, and cold moonlight. And a vid of p900 zooming to the stars. If this is the first they se when they enter, they can roll there eyes as mutch as they want, it will catch up to them sooner or later. Now eric pls note i have not asked you to make any content, and im not trying to tell you what to do. Yes you are asking me to make new content AND you're trying to tell me what to do AND you're being an absolute pest about it messaging me over and over again, messaging Schpankme over and over, forcing him to message me, then when not satisfied with our responses you are now dragging this out publicly in this thread saying the exact same things we've already covered privately. The sticky full of proofs/experiments you're asking for already exists! It's called 200 Proofs Earth is Not a Spinning Ball! But then you say, oh, it needs to be 10, 200 is too many. So I say fine, make your 10 and I'll let you have your own thread, and so then you say, "I dont want a top 10 nesseserely, just something quick and easy to understand blah blah blah" which IS ASKING ME TO MAKE NEW CONTENT AND TRYING TO TELL ME WHAT TO DO. For the last time: If you'd like to make your 10 best experiments article send it to me first to double-check then I'll let you have your own thread and you can send people there. I have plenty of projects underway and many more in the works, so I'm not looking for content suggestions. If you feel there's certain FE content that needs to get made then please make it! Don't wait for me! I need people to help me make such content, not just order me to do it for you. the content im talking about already exist, you just need to rearange it. Sorry to hear im pest, i was just trying to explain my self, and schpankme sent the idea on his own will i didnt presure him. And im draging it out here like i said i hope someone understand me better and can help you se what im really saying. I am posting 2 links to the idea for our experiment and the beginning of planning and testing. A great really simple one for anyone is following the perspective of the Suns rays through cracks in the clouds to its origin. You can clearly see that the sun really is just right there. I like that you used William Blake's 'The Aincient Of Days' as comparison. Hello people of Ifers,this is the first post i write over here.I hope is in the right session,cause i am going to talk about an "experiment that we all can do". 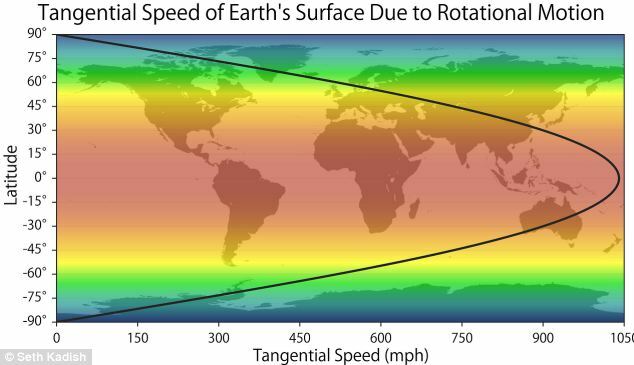 1.Earth is spinning at 1,670 km/h in the equator, but more you go north this tangential speed dicreases to zero in the north pole. 2.Star trails in a timelapse photo or video show actually,through the arc that they draw, the movement of the earth spin through time(of course globe earthers skip the fact that in that time the earth also have moved in the orbital direction,but let's say that they are right,that we cant see that movement through the star trails). 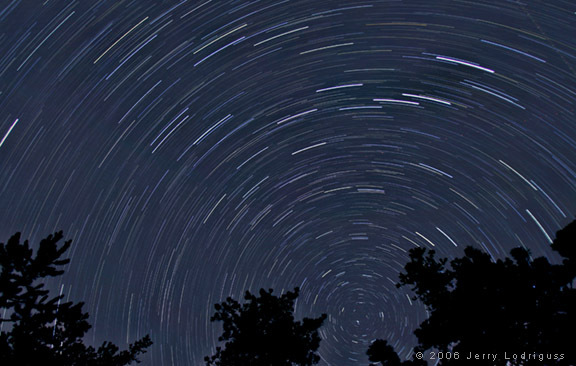 -If the time lapses are creating the same arc distances,we are no way spining on different speeds,so we are not on a ball..and maybe are the stars that they are moving in the same speed. -if the time lapse of finland is less than the half(we need to exactly calculate the speed in that specific latitude) from the one in kenya,then..there are different spining speeds and this could be possible only on a ball. Is not a difficult experiment,and i am asking myself why is not done yet and we need something like michelson-morley experiment to prove that earth is not spining. Or maybe i am stupid and i miss something in my ipothesis.Let me know what you think. I still can't get my head around the idea that the spin can decrease to zero at any point. It makes no sense to me whatsoever. If a thing spins, it spins. I heard someone come up with the idea of sending a rocket up at midnight. If it captures the sun its a done-deal. I've yet to see video footage of a rocket sent up at night. It seems like a giant oversight to me! thank you very much for your useless reply Superuserdo!!! macgyver wrote: thank you very much for your useless reply Superuserdo!!! Why don't you do something useful like perform your experiment and come back with the results? I didn't discuss your post because I don't think you articulated it well enough. I did comment on something you said though. If it wasn't good enough for you you had the option to skip over everything I said. You are in no way obligated to reply to a post. You chose to insult. That speaks more about you than it does about me. Should I now enter into a slagging match with you because of.....basically nothing? Still, lets not make this all about you or me. This is a forum and your post was one of many. If you express a little patience you may (or may not) get the recognition you seek for the proposal you made. Patience is a virtue around here. Try that experiment.